Kai Vista is a colorful oceanfront villa that encompasses all that an idyllic, tropical getaway destination should. After long evening strolls along the beach, you can enjoy a long soak in the hot tub. Not only is this a quaint place to stay, it is conveniently located to Rum Point Club and all of its amenities. Rum Point has a fabulous restaurant, a plethora of water sports, and offers snorkeling and diving as well. Kai Vista is a perfect place to go play and leave the crowds behind. Exceptional walking beach with oceanfront hot tub and infinity pool! 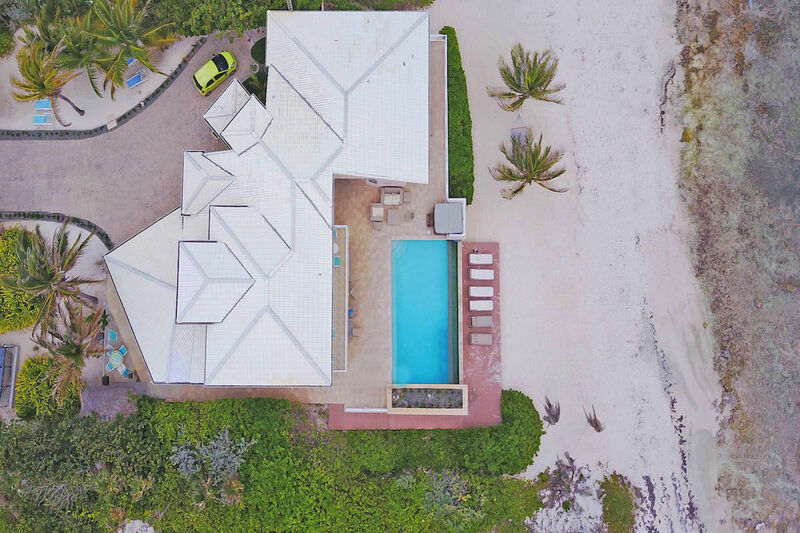 Kai Vista is a beachfront vacation rental in Rum Point, with eco-friendly features like LED lighting, high efficiency air-conditioning and pool pumps, solar panels that heat the pool, and upgraded insulation. This villa has great snorkeling in the backyard, and is only 250 yards from the Rum Point Club. There’s a sandy beach beyond the pool, perfect for long walks and sunbathing. Guests can take kayaks out on the water or ride bicycles to Rum Point Beach. Lounge on the beach’s wooden deck, snooze in the hammock strung up between two palm trees, or grill in the tiki hut on the side of the house. The infinity pool seems to melt into the ocean’s turquoise waves and draws guests in during the heat of the day. Guests can enjoy a tropical cocktail in the Jacuzzi or sit at one of the dining tables as the stars come out overhead. The oceanfront living room is spacious and open, with two separate sitting areas, a 55 inch Plasma TV, Apple TV, and a stereo. The colorful dining room is a vibrant contrast to the neutral living area, with beach scenes and mosaic tile to add tropical vibes. Any chef will love cooking on the gourmet kitchen’s stainless steel appliances and guests can prepare drinks in the wet bar. There’s a large central island that doubles as a breakfast bar, next to the other sitting area. Guests will love the master bedroom’s ocean views and large ensuite bathroom with a soaking tub. This king bedroom opens to the pool deck as well as the living room, so guests can move throughout the house with ease. The second bedroom on this level has an adjacent bathroom and queen-sized bed. Upstairs, there are two king suites with large sliding glass doors leading to the balcony. They can both be accessed through the den, which has an entertainment system and pull-out sleeper sofa. Kai Vista is near Rum Point’s restaurants and bars, and sits between the ocean and Three Sisters Cay. It would be ideal for two families or four couples who want to be near snorkeling and beaches. Barefoot beach with fantastic snorkeling! A refundable damage deposit/excess cleaning fee of $1,000 will be charged at final payment, and refunded within 10 days of departure, barring no damages, excess cleaning or incidentals. Pool heat available in winter at $250/week. We can’t say enough good things about Kai Vista! The house was absolutely wonderful! Everything was pristine, and this house was perfect for our large family. There was enough room for us all to feel like we had our own space but still enjoy spending time with each other. The view from the pool was breathtaking, and we felt as though we have the beach all to our ourselves! Highly recommend! 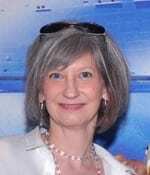 Our service from WhereToStay and Sharon was fantastic!